A playful, cosmopolitan all-day-dining restaurant with an innovative buffet concept and à la carte menu, offering local Cantonese classics and international gourmet delights. Highlights include freshly made pizza and tandoori from a wood-fired oven. An ultra-chic, art and design-inspired all-day-dining lobby lounge offering gourmet coffee, craft cocktails, fresh pastry and an extensive, delectable food menu. . Artist playground with specially commissioned artworks. 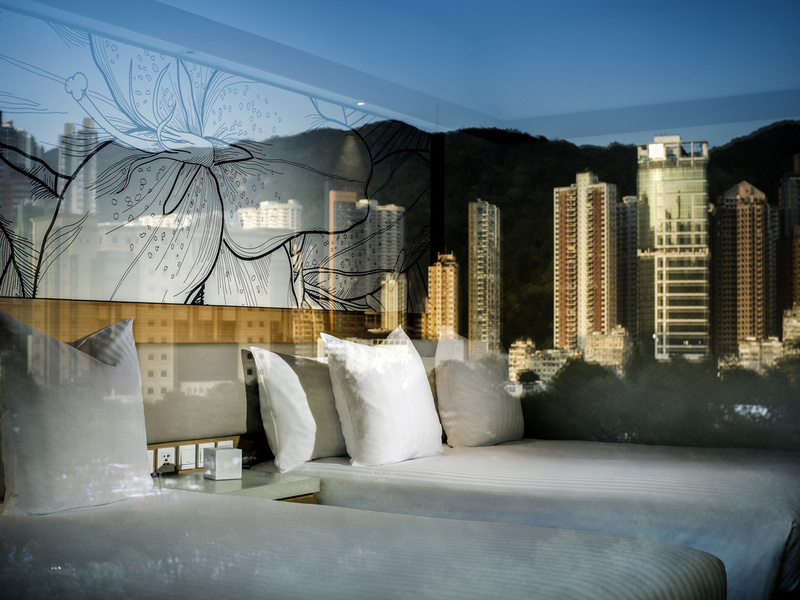 Urbane in décor, SKYE creates an air of elegance while showcasing the electrifying views of Hong Kong's skyline. In a class of its own, SKYE highlights a contemporary French menu and creative cocktails set to take your breath away.